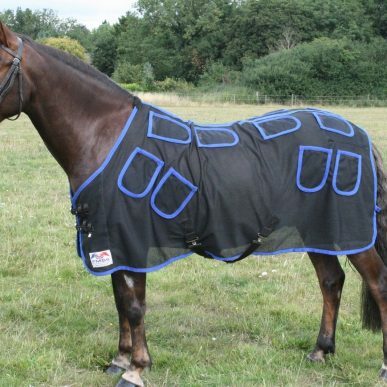 Categories: Equine, All Equine Products, Treadmills & Spas. 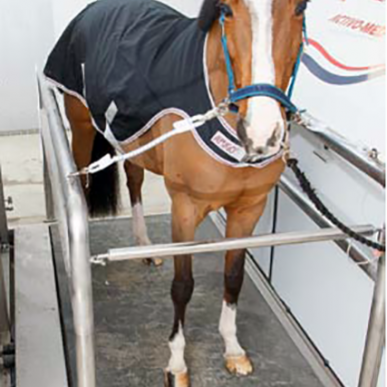 Activo-Med Equine Spas provide a wide range of benefits for horses for both rehabilitation and prevention of injury. The Equine Spas are customisable with many great optional extras to combine various therapies into one, or can be used on their own with spa jets ensuring exact temperature redistribution to assist in natural healing. Equine Spas have a multi-purpose in prevention of injury as well as rehabilitation, the ultimate tool for stables who aim to limit injuries in horses under high performance routines, and deliver fast recovery when injuries happen. 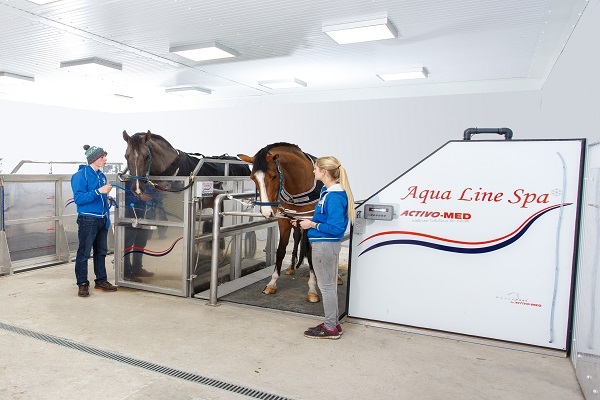 The Activo-Med Equine Spa are designed to be safe and comfortable, filling to a level of your choice with chilled salt water, working similarly to cold hosing but with exact temperatures to reduce the tissue’s metabolic rate, assisting in healing after injury. Aeration (bubbles) ensure water circulation and even distribution of temperature, ensuring the water stays chilled around the legs where pockets of heat would otherwise form. With the addition of salt water, the spa is also good for natural wound healing by acting as a hypertonic poultice, reducing oedema and influencing the way the tissue temperature falls during treatment. For additional therapeutic effect, our cold-water Equine Spas can come with a vibrating floor. The addition of vibration therapy to your Equine Spa assists in stimulating blood circulation throughout the body, further treating inflammation and speeding up healing, reducing pain and assisting to prevent further injury. The vibrating floor also promotes development of muscle tone and bone density. As this is a standing therapy, The Equine Spa and vibrating floor can easily be used on horses during rehabilitation or box rest. Read more about the benefits of hydrotherapy in our blog. The Activo-Med Equine Spa comes with 5 years* warranty and up to 24 months of servicing from locally trained technicians is provided with your installation. Equine Spas are customised to suit your needs and can range upwards from AU$60,000 depending on your stable’s requirements. Let us know a bit about your horses, goals and what issues you’re dealing with and we’ll help customise an Equine Spa to best suit your needs.